We offer a variety of talented entertainers who will make any holiday event you have just a little more authentic. 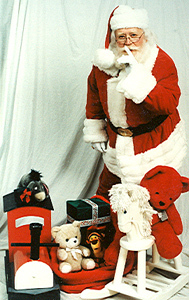 Whether you need to satisfy the children in your life or just the child within all of us, we have Santa Claus, the Easter Bunny and other unique characters that can help your holiday party shine. Hop to it and bring a breath of fresh Spring air to your Easter gathering with this delightful bunny to entertain your guests. 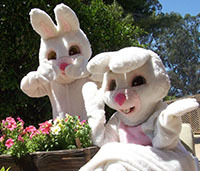 She can help on an egg hunt or simply bring Easter to life for children young and old. Every little girl dreams of being a princess and with the addition of this Fairy Godmother to any birthday party or special event, that dream can come true. Whether this warm and engaging entertainer is telling stories, face painting, or creating balloon shapes, she'll be the delight of any birthday or children's party. This delightful Halloween Witch won't frighten your guests...she'll delight them. 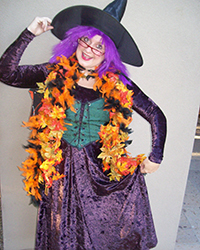 With her charismatic personality and talent, including face painting, photo op, meet and greet, and story telling she's the perfect addition to your Halloween event. 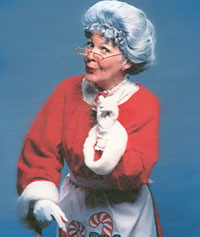 Mrs. Claus is always a sweet addition to any holiday party, as she can introduce Santa, meet and greet, and help pass out presents. 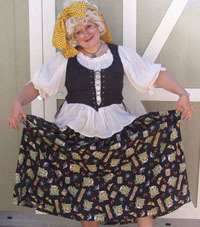 She also has her own talents, in that she face paints, does storytelling, and adds a special joy for kids of all ages. Santa is known for bringing gifts, and that is exactly what he’ll do at your Holiday Party. You have the option of having Santa pass out your gifts, guests sitting on his knee, or taking a picture with the famous Gentleman from the North Pole. Many of our Santas support authentic white beards, so you can tug on it with ease, please! With this classic duo, your Christmas event will be complete. Allow these two wonderful characters to delight the child within all of your guests by distributing gifts, telling stories, or just creating an unforgettable photo opportunity. 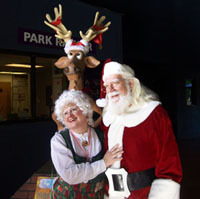 You are sure to feel the holiday spirit when Mr. and Mrs. Claus make a visit to your special event.